OP-CON provides resources of all kinds for our chaplains. 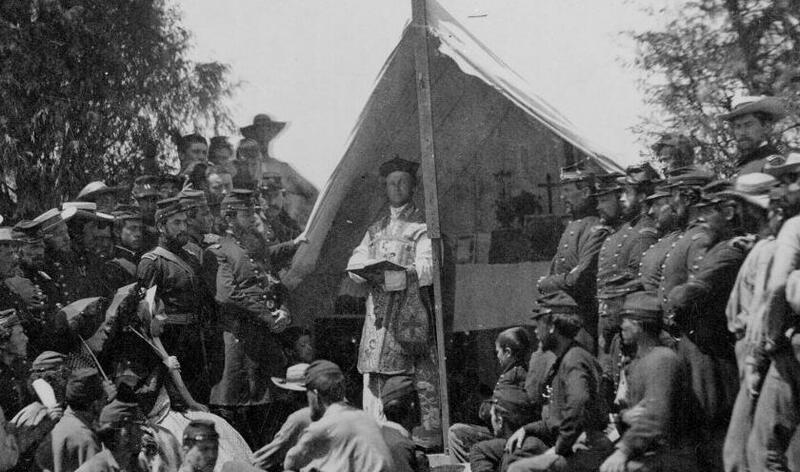 This picture (left) shows a chaplain during the American Civil War serving his troops; resources have changed since then. C-DRIVE: a chaplain's online resource hub. We're bringing together numerous resources for military chaplains - making it easier than ever to locate them. E-books, PDFs, Sermon Notes, & More. Foreign Language Learning, Apologetics, Bible Studies, Philosophy, & More.